Dazzle that special someone and give them the five-star treatment with these romantic and luxe date ideas in DC. If you’re looking for the fanciest, most luxurious date ideas in Washington, DC, then you’ve come to the right place. 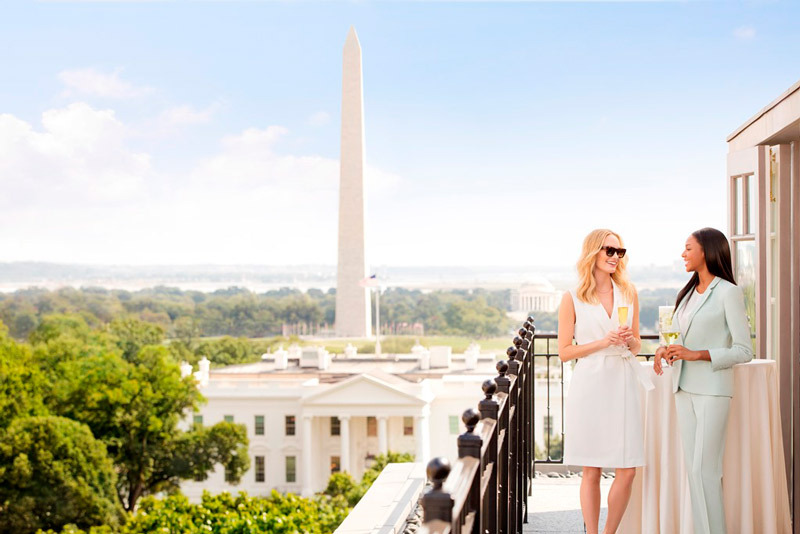 The nation’s capital is the perfect location for a posh and romantic getaway. From its Michelin-starred restaurants starring world-renowned chefs to its swanky hotels and magnificent spas, Washington, DC has everything that a couple could want in an excursion. 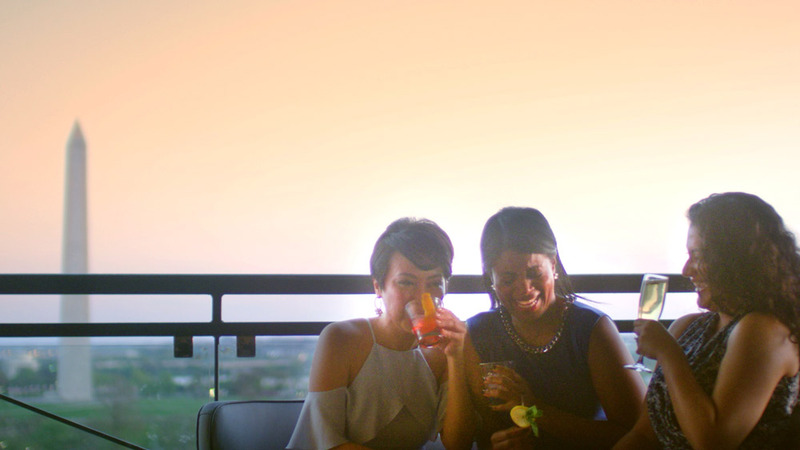 Do date night right with these luxurious experiences to be enjoyed by you and your significant other in the District. At this point, there’s no denying DC’s status as a culinary capital. The city offers a range of Michelin-starred restaurants, with two restaurants receiving a coveted star for the first time this year. Bresca has an inventive menu that melds tantalizing flavors with Chef Ryan Ratino’s one-of-a-kind vision. 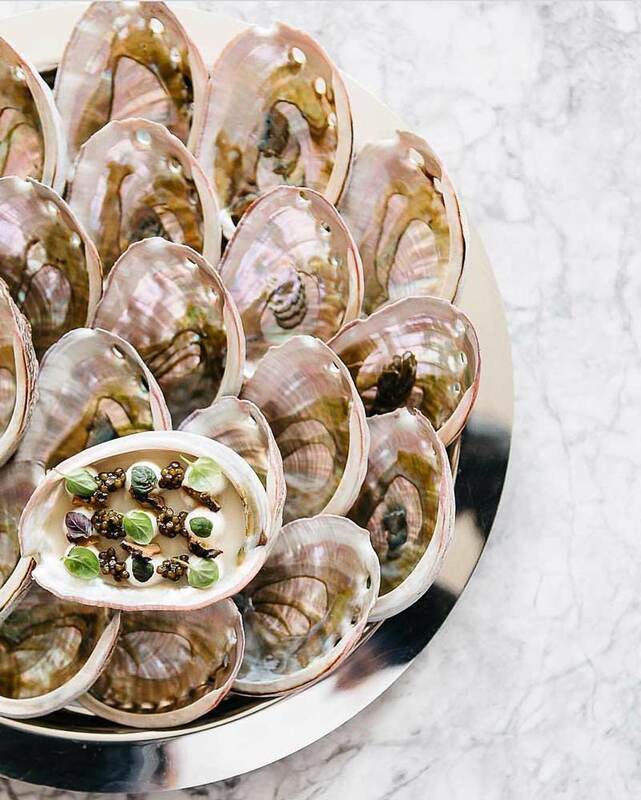 Chef Robert Wiedmaier’s Siren by RW, located inside The Darcy Hotel, focuses on the fruits of the sea in both its creative menu selections and aquatic decor. Enjoy a fireside nightcap at Quadrant Bar & Lounge in the Ritz-Carlton, Washington, DC, complete with craft cocktails and delicious apps. The bar and lounge also hosts live jazz every Saturday night, the ideal music for the setting. Before you head upstairs, keep your eyes peeled. You never know what red-hot celebrities you’ll see checking in at this luxury hotel. Step inside the lavish Trump International Hotel Washington, D.C. and you’ll quickly see why it’s the perfect choice for a romantic getaway or staycation. Dining options abound with the high-end BLT Prime by David Burke, the luxe Benjamin Bar in the lobby and Sushi Nakazawa, and there’s no shortage of romantic wellness options at The Spa by Ivanka Trump. 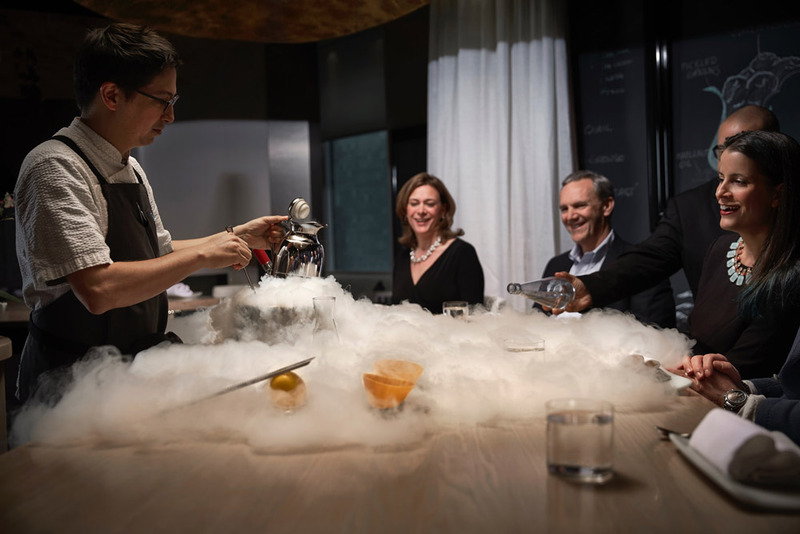 Embark on a multi-course journey through the world of molecular gastronomy curated by renowned chef José Andrés at minibar. Located in Penn Quarter, this hotspot is regularly booked months in advance, so make that reservation pronto – especially since the locale possesses not one, but two Michelin stars. Good to know: José’s four other area restaurants are all Bib Gourmand selections in the same Michelin Guide. 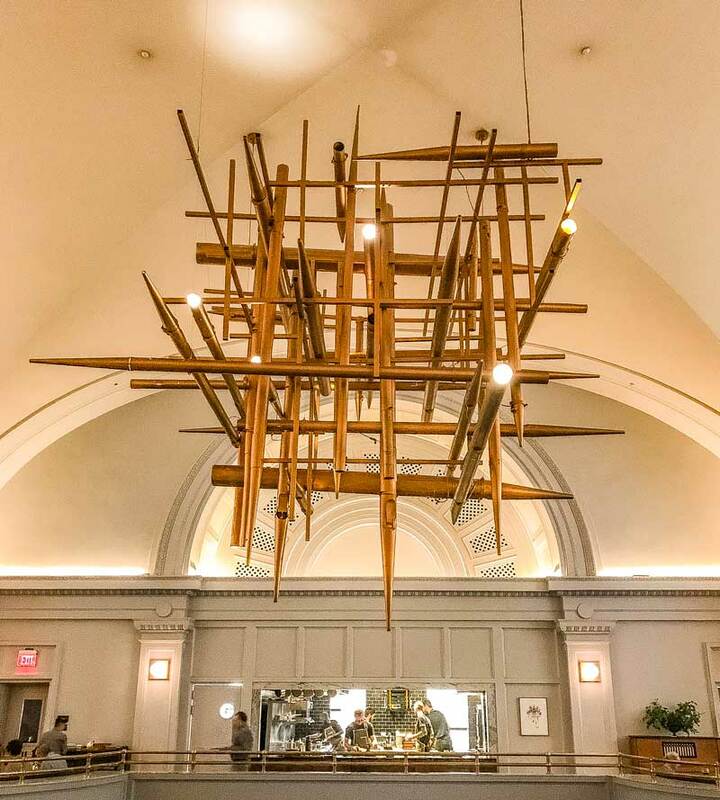 Blue Duck Tavern, another of DC’s Michelin star-recipients, is housed inside the elegant Park Hyatt Washington (which makes for a great place to spend the night). The eatery features exquisitely prepared seasonal fare from its wood-burning oven, which is nestled inside an open kitchen. The Tavern’s shareable and delicious apple pie is the perfect conclusion to any meal. If the tasting menu is the movement du jour in DC dining, then Pineapple & Pearls – the two-star Michelin restaurant from James Beard award-winner Aaron Silverman – is one of the scene’s shining stars. This Capitol Hill establishment is located right near sibling Rose’s Luxury, which is equally date-night worthy. Silverman's culinary creations come in the form of an inventive 15-course, ever-changing tasting menu that is bound to delight. The whole dining experience (which includes beverage pairings, tax and tip) might be steep, but it's worth it if you're seeking a luxurious, romantic and, of course, delicious evening. 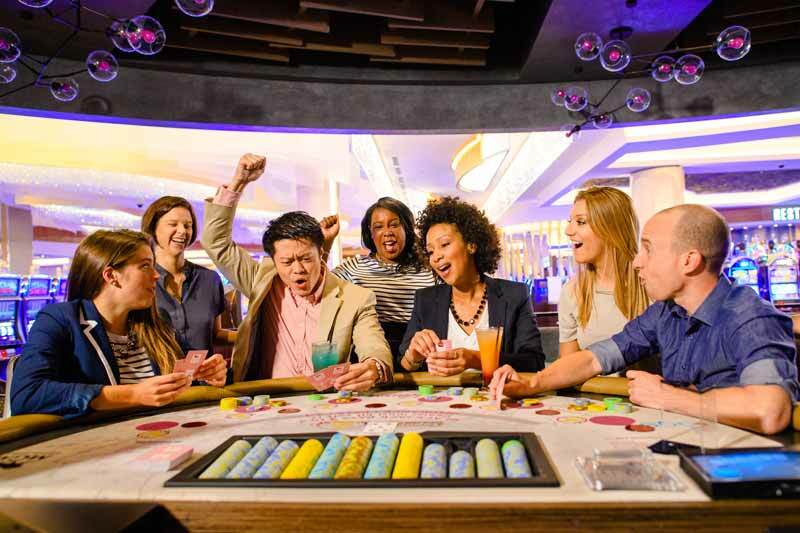 MGM National Harbor is a hotel-casino combo that allows for the ultimate in playtime in one of the liveliest destinations in the DMV area. Test your luck at any of the 3,000-plus slot machines and nearly 150 gaming tables, or catch an A-list performance in the 3,000-seat, state-of-the-art theater. Dine at the acclaimed Fish by José Andrés and shop at boutiques, including SJP by Sarah Jessica Parker. The Wharf's dining scene includes new concepts from award-winning and Michelin-starred chefs that make for memorable date night excursions. Fabio Trabocchi offers coastal Spanish fare at Del Mar, while Mi Vida offers a guacamole and margarita-fueled fiesta complete with classics from America’s southern neighbor (think: enchiladas, ceviche and hearth-roasted dishes). Nearby, DC does its best Riviera impression at La Vie, a stunning and sleek restaurant with wide-open spaces and waterfront views. 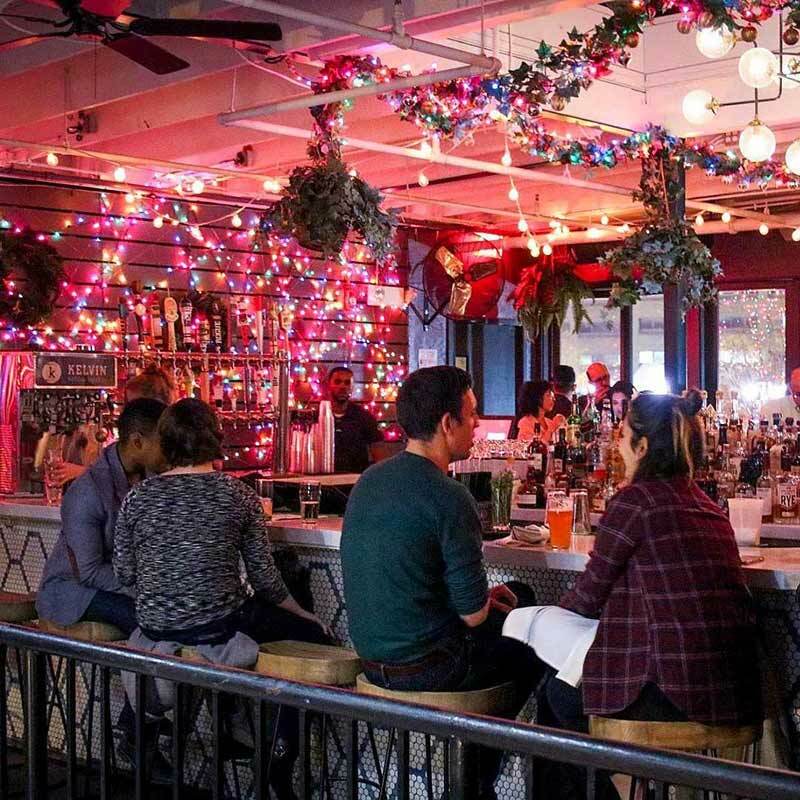 Visitors can also choose to be dazzled by the culinary creativity of Kwame Onwuachi at Kith and Kin or savor oysters on the waterfront at Hank’s Oyster Bar. Located in Lafayette Square just steps from the White House, you'll feel positively presidential when you spend the night at this posh hotel. The Hay-Adams manages to be a quiet abode for weekend escapers, even though the hotel sits near the most powerful house in the nation. Make sure to pay a visit to Top of the Hay, the hotel’s on-site rooftop lounge that features panoramic views of the city. ENO Wine Bar in Georgetown serves up wine flights, along with delicious charcuterie, cheese and chocolate pairings, making for a fantastic first stop on date night. Then, head next door for dinner at Bourbon Steak, which features (you guessed it) amazing cuts of steak and an award-winning cocktail program. Finally, up the romance at the Four Seasons Hotel, one of the city’s most luxurious hotels. Chef Eric Ziebold opened the hotly anticipated Kinship to rave reviews and hasn't looked back since, receiving a coveted Michelin star along the way. With a menu split into Craft, History, Ingredients and Indulgence, Ziebold takes you on a journey through his creative cuisine. His adjacent Michelin-starred French-themed tasting menu restaurant, Métier, also deserves consideration. As you may have heard, Washington, DC has become the culinary capital, as its dining scene has bred a wealth of nationally renowned eateries. 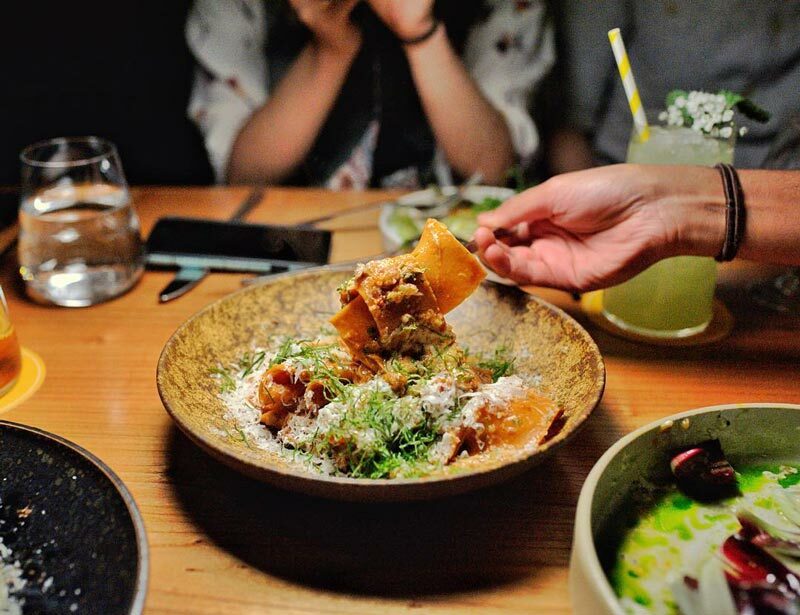 Choose from the city's many acclaimed and award-winning restaurants, including cozy farm-to-fork fare at The Dabney in Shaw, James Beard Award-winning Chef Spike Gjerde's first DC venture, A Rake’s Progress, in The LINE Hotel and much more. Impress your special someone with a night out at one of these locales that turn dinner into an unforgettable experience. Make sure to plan ahead, as tables are not easy to come by. Have a glass of wine or a cocktail with your sweetheart as you relax at the W Hotel’s POV Rooftop Lounge and Terrace. 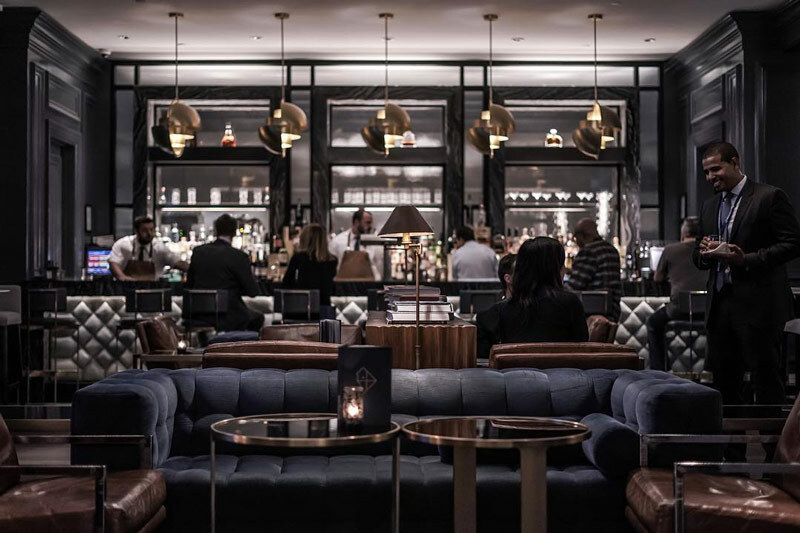 The see-and-be-seen bar overlooks the White House and Washington Monument, providing unforgettable visuals that are hard to come by in the District. Private tables are available for booking if you’d like the extra bit of intimacy and of course, if you choose to stay at the W, you’re not too far from your room. The hissing fireplace at Iron Gate sizzles three feet off the ground as you enjoy delicately cooked Mediterranean fare. The historic confines were once the home of General Nelson Miles, a former Secretary of the Army. 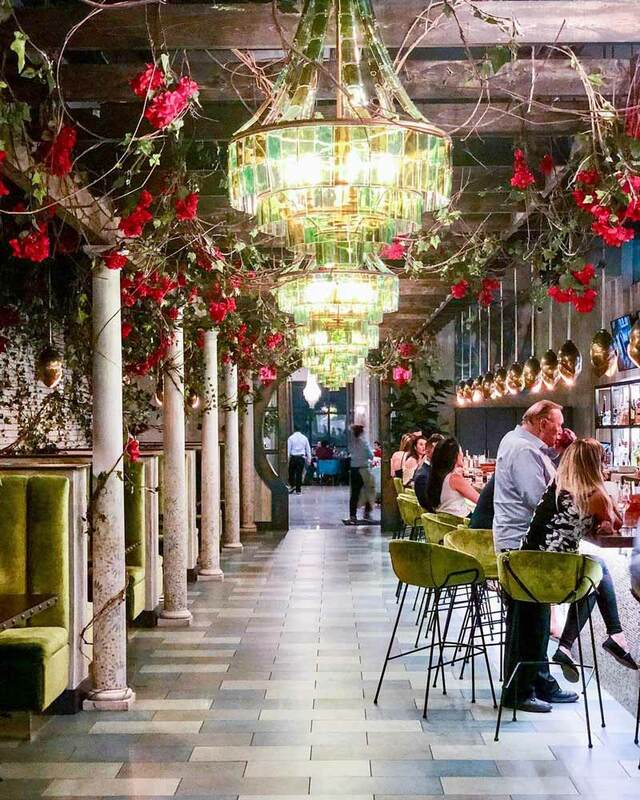 The restaurant’s decadent courtyard is adorned with wisteria, Edison bulbs and (of course) a fireplace that allows for nearly year-round dining, giving the eatery another cozy lounge area. 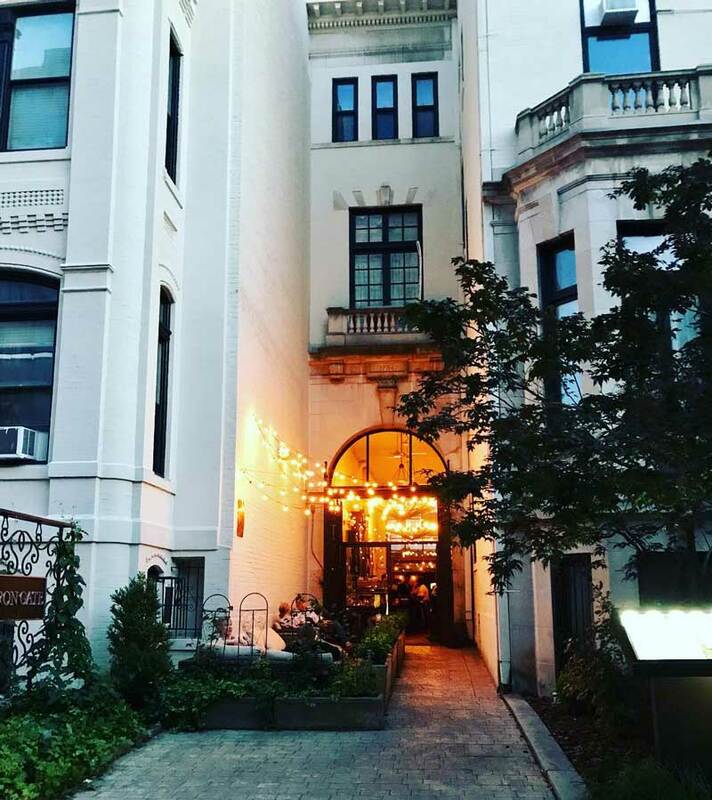 While DC’s dining scene is Michelin-approved, it’s cocktail scene is vibrant and filled with tucked-away gems that are ideal for an intimate gathering. 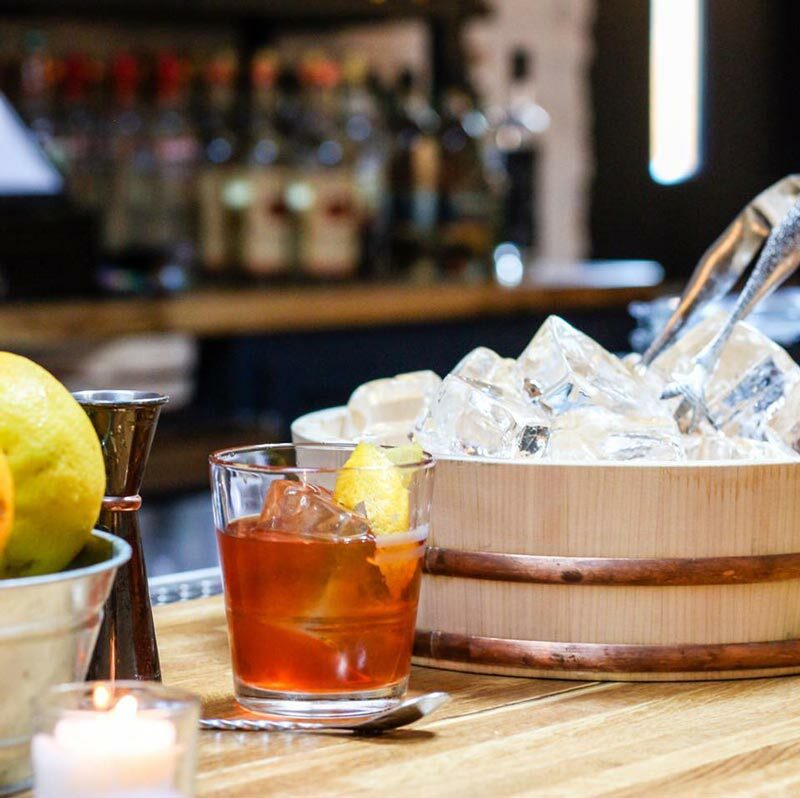 Speakeasy-style standouts that you will have to work a little harder than usual to find include Dram & Grain, The Gibson, Chicken + Whiskey and the Backroom at Capo. DC is the nation’s capital and a brunch capital. All types of everyone’s favorite weekend meal can be enjoyed. Try the pop tarts at Ted’s Bulletin. Have an authentic diner experience at Crimson Diner. Choose from an epic menu at Farmers & Distillers. Take in rooftop views with your meal at Takoda. Catch a drag brunch at Nellie’s…we could go on. And we do, in our roundup of where to find the best brunch. You and your boo can indulge yourselves with a treatment (or treatments!) at The Spa at the Mandarin Oriental. The luxury hotel and spa offers a variety of services, like the Oriental Harmony massage featuring two masseuses, sure to melt your cares away. Continue the posh getaway with a stay at the hotel, featuring elegant design in a premier location that allows for splendid views of the Southwest Waterfront.